Our Best Readers Cup Ever! 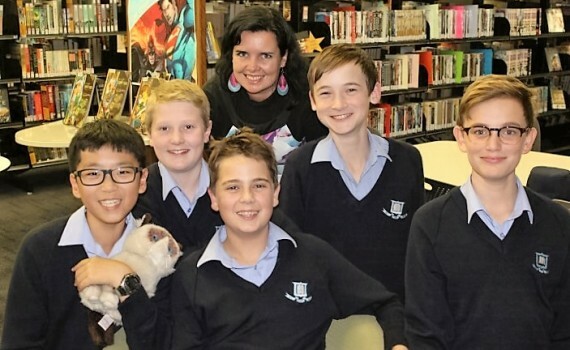 Nerves were on edge, students were tense, parents were jittery, the excitement was palpable – and all due to five books!! What were the titles of these books holding all this power? Contestants had to read these books and try to memorise facts from them then, on the night, they were asked questions in each round from each book. 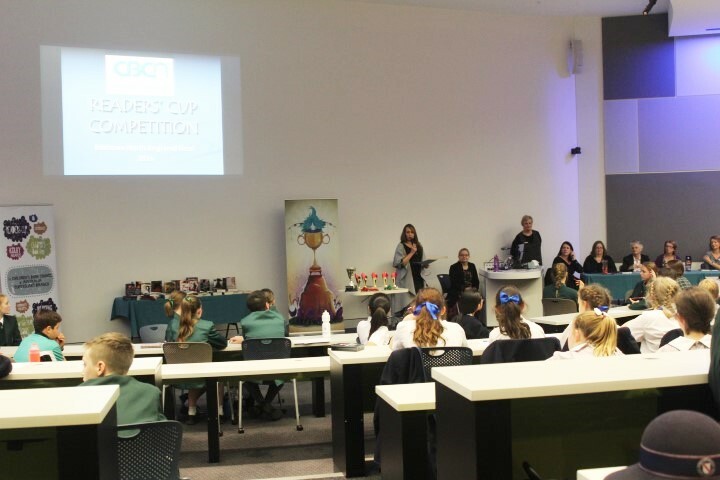 This year we had a record number of 24 teams from different schools competing in our Brisbane North 7/8 Readers Cup Competition. 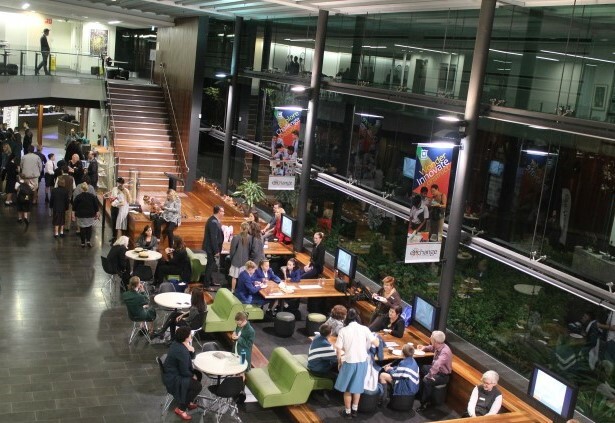 From early in the evening, the Learning Commons became more and more crowded, and once the parents moved into the back of the Forum, we were seriously challenged to find seats for them all!! But how good to think that all of these crowds were there because of reading!! 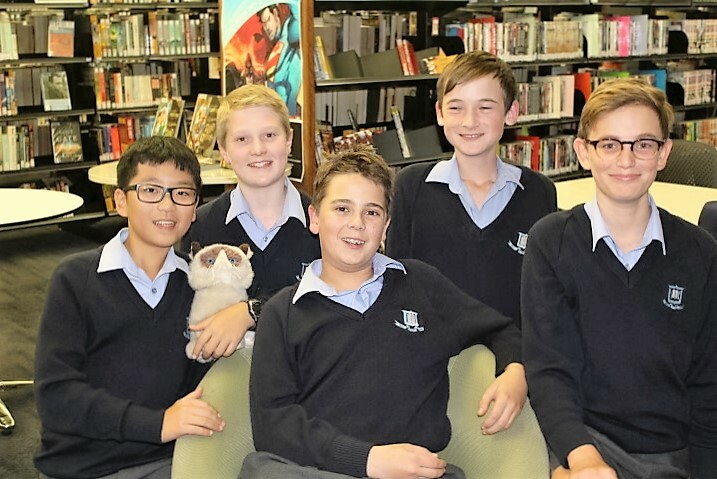 Organisation of the competition was also a team event, with TLs from each school supplying questions for each round and books to use as prizes, and taking on roles on the night such as judge, time-keeper, scorer, MC, etc. 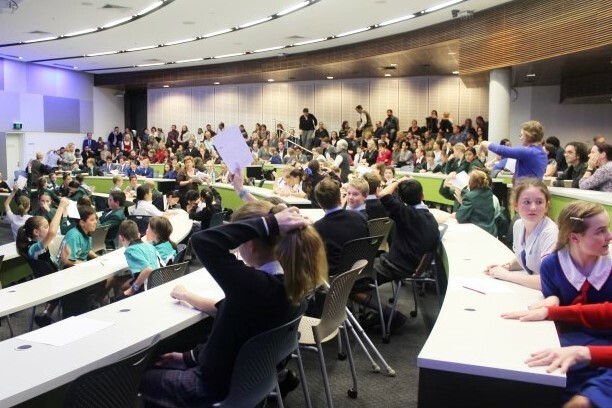 All in all, Readers Cup is a great way to bring schools together in an arena that’s not sport-related. This year, Grumpy Cat also attended the competition for the first time ever. Maybe he was just too grumpy on the night, or maybe our boys were just having too much fun – whatever the reason, they didn’t manage to win! 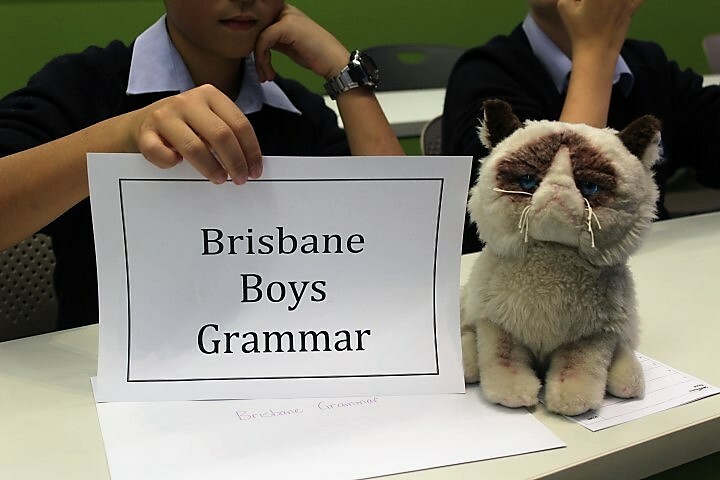 A big congratulations to the team from Murrumba State Secondary College who came first, followed by teams from Brisbane State High and Ferny Grove State High in second and third place. The team from Murrumba will now do this all again as they prepare for the State Finals to be held in September.